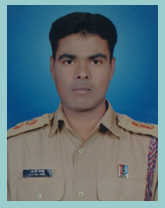 The college has one sub-unit, comprising 56 cadets of 13 Maharashtra NCC Battalion; Khamgaon (Head quarter). Interested students from both Junior and Senior College can participate in N.C.C. The students who qualify in physical and medical test with consent of their parent and approval of N.C.C officer, Principal of the college and commanding officer 13 Maharashtra NCC Battalion, Khamgaon can get admitted to the N.C.C. The students are entitled for the awards of incentive marks, by the university and other benefits of N.C.C in including ‘B and ‘C’ certificates after successfully participating in 75% of training session.